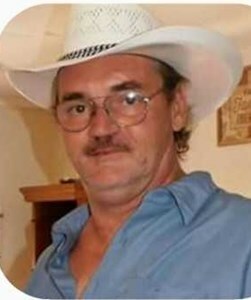 Wayne Power Sr., age 55, was the son of late Charles and May Power. He was born on Friday, July 19, 1963 in Syracuse New York where he remained. He spent his early years at Fowler High School. On July, 4 2017, Wayne married Wanda E. Dickerson-Power in Hillsborough county Florida. Wayne spent his life working in construction. Most notably for Pyramid in Syracuse New York building Carousel Mall (Destiny USA). He also spent time along side Mayflower Moving Company, and J&J Custom Painting, both out of Syracuse, New York. Upon relocating he worked with Thompson Steel Remodeling and St.Jude Children's Hospital in Tampa Florida. Wayne enjoyed spending his time with family and friends, playing darts, competing, and was an avid hunter. Wayne was pre-deceased by his parents, his father, Charles and mother, May Power; a brother Charles "Chuck" Power; two sisters, Mary Curinga-Fox and Carol Provato; and a darling furry friend he held close to his heart; his cat "Sabrina Marie". His wonderful life will forever be cherished by his seven children; Tressa Power, Christina (Amanda) Winton, Nicole Power, all of Syracuse New York, Izaac Barlow of Oneida New York, Shelby Power of Canastota, New York, Wayne Power Jr and Samantha Power of Oneida New York, two step-sons Ray and James of Georgia, and a very special niece Wa'yu'hsowe'onutla'hte' Winne also of Oneida New York. He also leaves behind grandchildren, Heaven and Justice Schuessler, Bryan Jr and Mariya Pineda all of Syracuse, and Jayce Power of Canastota New York. His sisters, Elizabeth "Cissy" Power of Syracuse, New York, Martha "Petey" Crawford of Weedsport, New York; brothers, Joeseph " Joe" Power of Baldwinsville, New York, Jonathan Power of Syracuse, New York, along with many nieces and nephews. Services will be held at Newcomer Cremations & Funerals, North Syracuse, NY on Wednesday November 7, 2018 from 1-4pm. Burial will be private and at the discretion of his children. In lieu of flowers Wayne asks that all contributions be made to the Whitetail Unlimited in his memory. To share a memory of Wayne, or leave a special message for the family, please click the Share Memories button above. Add your memories to the guest book of Wayne Power Sr..
Uncle Wayne has lived the best he new,he loved us all in his own way not always knowing how to show it but he did.May he find the peace in death he could never find in life!You will forever be in our hearts! Sending my condolences to the Powers family. May Wayne rest in peace.